A glowing resume does not necessarily mean a candidate will fit well with your organization. 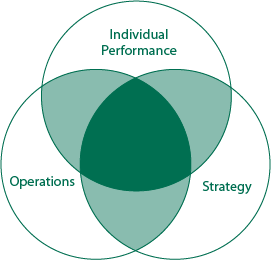 The Hunter Group offers several assessment options to help you with building the best high performing team possible. Individual assessments – conduct online assessments of your top candidates prior to hiring. This helps you understand what “makes the candidate tick.” The results show whether the candidate has the hard-wiring to succeed in the position. Team assessments – conduct online assessments of your entire team. This helps you to understand how the team works together and how the new hire will fit in. The results can be used to assess how the team will interact with the new hire and can point to ways to improve team effectiveness to create a truly high performing team. Full management assessment – conduct a full assessment of each team member. This process gives you detailed knowledge of how the individuals and the team function. The results can be used for individual talent development, succession planning and strategic development.